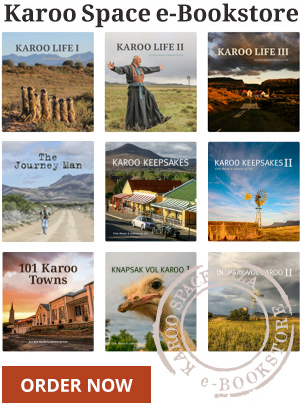 All the Karoo news that’s fit to post – events and gatherings in the Heartland. Meet the diamond cowboys of Port Nolloth and the Goths of Fraserburg. Or kick your shoes off and dance the Nama Riel in the dust of the western Karoo. An exciting December art exhibition in Nieu-Bethesda, Eastern Cape Karoo. A miracle school near Colesberg, dancing in De Aar and a wonderful lineup of grand Karoo hotels. Off the beaten track in the Little Karoo. The Great Karoo Lion Hunt Is Over! Breaking story about the escaped lion roaming the Karoo.